Your child is your most treasured possession, an amazing gift that comes with tremendous responsibility. They count on you to fill every need and you pour into their lives all that you have. When it’s time to prepare them for that vital next step in their development, choosing the right preschool can seem almost overwhelming. Holmdel Preschool understands how parents struggle with this important decision…and we’re here to help make this transition as comfortable for you and your child as possible. One of the ways we accomplish this is to provide the information you need to make an informed decision. Our transparency is one of the many ways we ensure you know who we are, what we offer and what you and your child can expect. We appreciate the trust you place in us and we thank you for visiting our website! We are ardent believers of the mindset of Dewey that all a school can do and need to do for their students is to develop their ability to think. We don’t give children answers we help them find answers, and that is what separates us from the pack so to speak. We accomplish this through providing our students with a wide array of materials that are specifically geared to their age and can be explored, manipulated and combined, being utilized in a myriad of ways. We offer integrated approaches to our curriculum with real life contexts, meaningful experiences and opportunities for learning. Opportunities for inquiry and discovery learning are provided in both small groups and through independent learning experiences. There is ample time given in open ended play opportunities in a supportive environment, which is conducive to exploration and discovery. Why does Monmouth County love Holmdel Preschool? With the wide range of available educational programs, curriculum, protocols and processes, choosing one that ‘fits’ your child can be daunting. Holmdel Preschool has over 40 years of experience in preschool care and education. We’ve spent years assessing a variety of approaches, learning what works, what doesn’t and what matters most to parents and their children. Today, Holmdel Preschool offers six proven learning environments designed with the growth and development of your child in mind. Learn more about our mission by visiting our Mission Page. Our staff is comprised of certified teachers who are experts in the field of early childhood education and certified by the State of New Jersey. Dedicated, motivated and passionate, our teachers bring a level of professionalism and personal care that helps every child feel good about who they are. Learn more about our teachers by visiting our Teacher Page. Grow NJ Kids is a state-sponsored initiative created to raise the quality of childcare and early learning throughout the state of New Jersey. 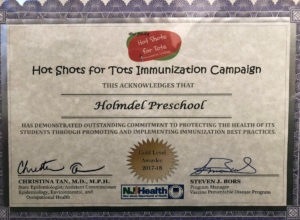 Participation is on a voluntary basis, and Holmdel Preschool is proud to be a part of this worthwhile program. Grow NJ Kids not only provides child care and learning programs that provide and promote assessment and improvement but also provides parents with valuable information. This information enables parents to evaluate the quality of preschools, enabling them to make educated choices that meet the needs of their child. 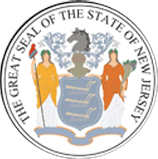 Grow NJ Kids has established an objective rating system. Trained professionals conduct a preliminary assessment; then work with the care provider to address any areas that could benefit from improvement. Once this process is completed, a trained rater uses a comprehensive, research-based tool to assess the program. 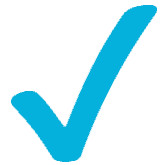 A program can earn up to five stars, allowing parents an easy comparison method. Holmdel Preschool is proud to be a part of Grow NJ Kids. 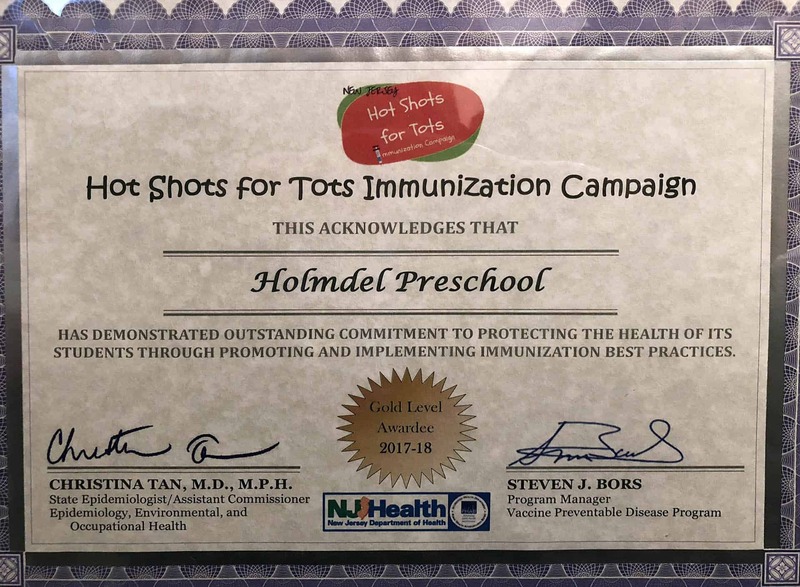 The New Jersey Hot Shots for Tots Immunization Campaign encourages childcare facilities to help reduce vaccine-preventable diseases among children by promoting best care practices and immunization coverage. Holmdel Preschool is proud to be the recipient of the Gold Award. You can read more about the government’s voluntary program by visiting NJ Dept of Health.